We are proud to introduce this limited edition mohair bear to the "Kimbearlys Originals"Collection. 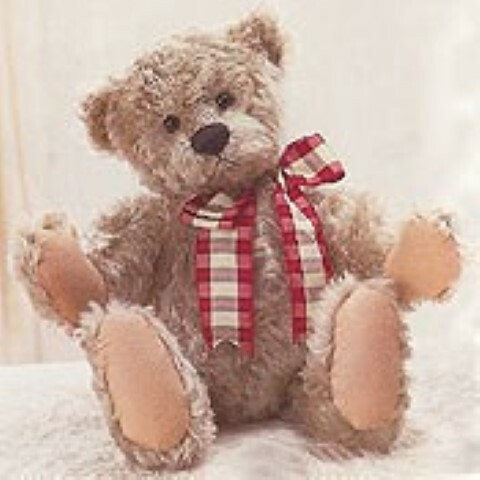 this traditional looking teddy bear is a must for all teddy bear lovers. Ted is a Kimbearly's Original and is Limited and Numbered. 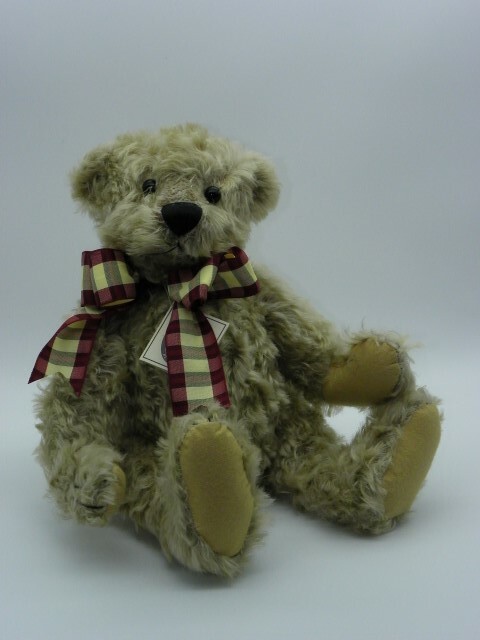 He is a quality collectible bear made of Genuine English Mohair and fully jointed. Ted is all packed to begin his journey to his new home either as a collectible or as a toy. He is ready to go! Kimberly Hunt has been making Hand Made Teddy Bears since 1983. Kimberly has received a "Golden Teddy Award" and has been invited to participate in Teddy Bear shows around the world. If you're a Teddy Bear collector you may have had the opportunity to meet her at one of the many collector shows she attends around the United States each year. The appreciation and love for her work, has spread to collectors and stores throughout the world.